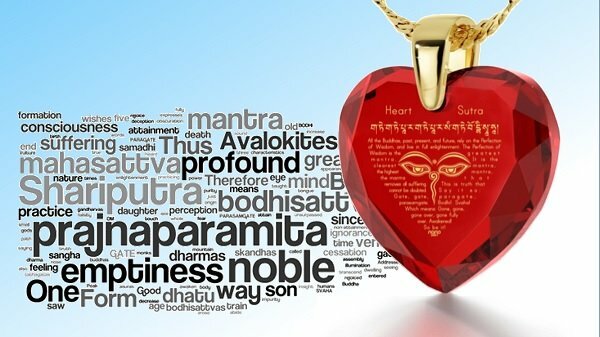 Careful study and contemplation of the Heart Sutra will lead us to a profound understanding of reality, through the correct understanding of emptiness. Although this sutra is very short, it presents in condensed form all the explicit and explicit teachings necessary to attain the perfect state of buddhahood. Even a small understanding of the empty and dependent nature of phenomena can revolutionise our thinking and have far-reaching consequences for both our present and our future peace and happiness. Please join us to unlock the profound and vast meaning of the sutra. The Buddha’s sole purpose was to help living beings, without any bias, to free themselves from suffering and reach the supreme state of happiness. Everything he taught was intended to lead to the understanding of emptiness. Understanding emptiness enables us to attain freedom. Once we realise that everything the Buddha taught was intended to to lead us to the understanding of emptiness, we will recognise that there are no contradictions in the teachings and that, instead, they reveal the Buddhas consummate skill in guiding beings with vastly different abilities and interests. By donation (suggested $10 per class, but no set amount) Bound notes for the unit are $20.